Through advocacy efforts we fight for justice for persecuted women in institutions across the world. 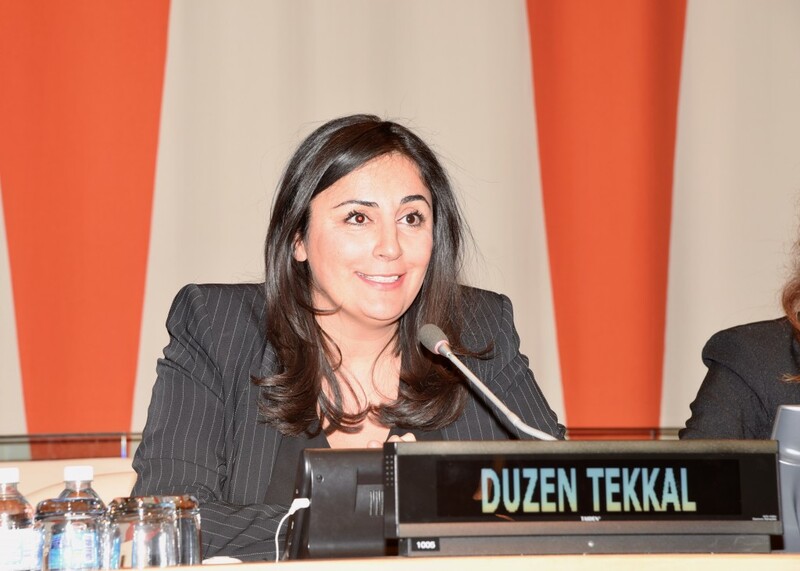 Our efforts challenge traditional patriarchal structures and ensure that women have a seat at the table. 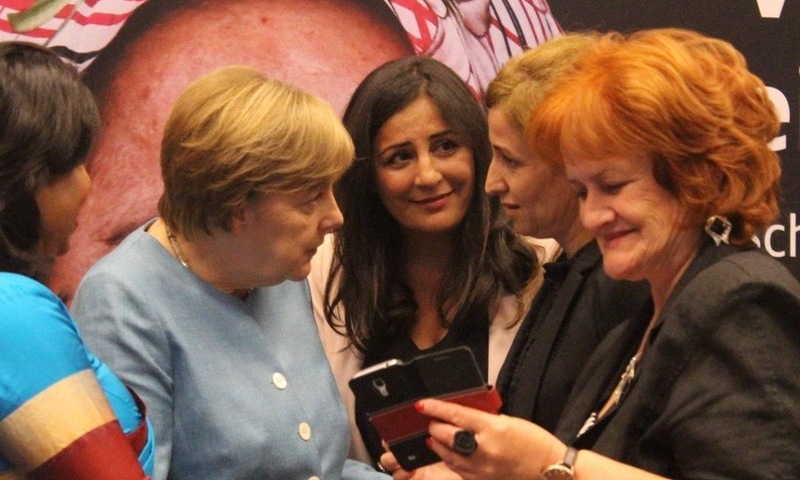 Chancellor Angela Merkel alongside representatives from the UN and the German Bundestag joined HAWAR.help at the German Parliament in 2017 for a conference to break the silence on sexual violence during war. Survivors of the terrors of ISIS, the Bosnian war as well as the holocaust shared their stories, moving form the role of victim to survivor. In April 2018, HAWAR.help was a part of German Development Minister Dr. Gerd Müller’s delegation on a trip to Iraq. The trip focused on the prospect for rebuilding of the country after the defeat of ISIS. 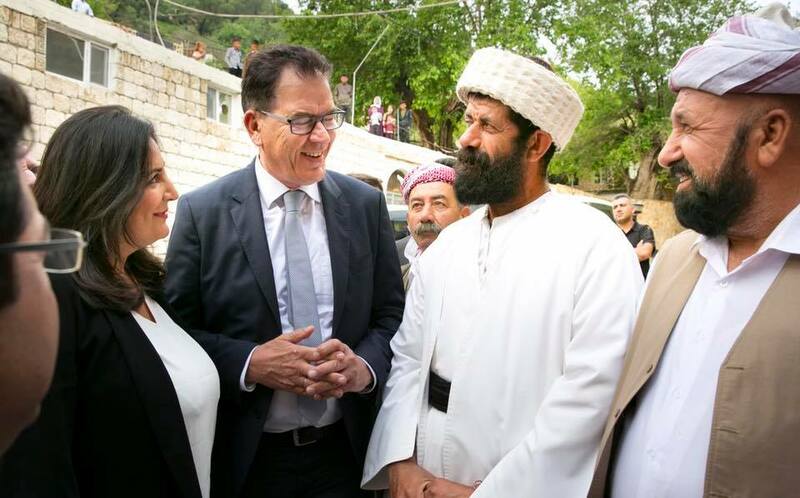 As a part of the trip, the Minister visited Lalish, the holy home of the Yazidis and met with the community’s high- religious representative, Baba Sheik. 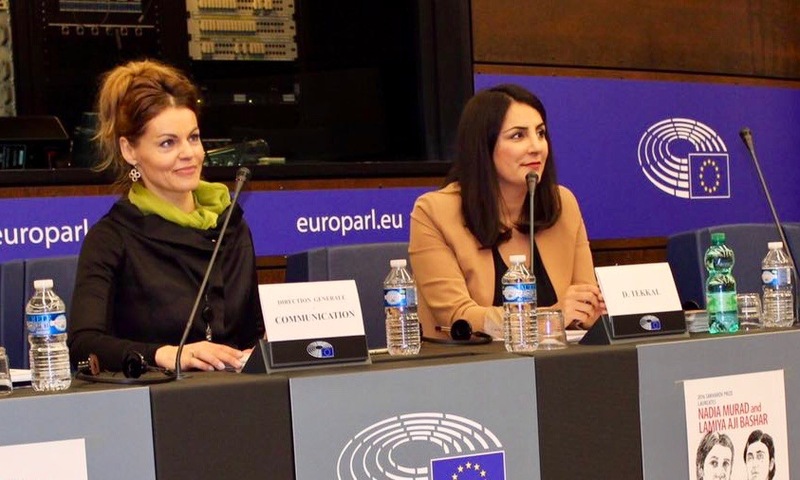 HAWAR.help founder Düzen Tekkal screened her documentary, “HAWAR – My Journey to Genocide” and took part in a panel discussion at the European Parliament in 2017. The European Parliament later recognized the killing of religious minorities at the hands of ISIS as a genocide.